Preheat the oven to 150?C. Heat the olive oil in a large casserole over medium heat. Sauté the onion, garlic, bay leaves and half of the thyme leaves until the onion is soft (10 to 15 minutes). Reduce the heat to low medium, add the red pepper, cover with a lid, stir occasionally, and sauté until soft (10 minutes). Add the tomatoes and stir until the sauce thickens and start to catch on the bottom of the pan (25 to 30 minutes). Add the sherry and bring to the boil over medium heat (3 to 5 minutes). Add the paprika and the hot water and return to the boil. Reduce the heat to low and cook, skimming the scum from the surface (10 to 15 minutes). Spread the lamb in a single layer in a roasting pan. Scatter with the remaining thyme leaves and season with salt and pepper to taste. Spoon over the sauce, cover with aluminium foil, and roast until the meat almost falls apart (2 ½ to 3 hours). Serve the lamb with its sauce and rosemary-roasted potatoes (below). Cut the potatoes in half or quarters and place in a bowl with the olive oil, salt, pepper, garlic and rosemary. Arrange the potatoes in a single layer on a baking sheet. Slow-roast on a lower rack while the lamb is cooking (or in a separate oven if you have one) until crisp. Flip twice with a spatula during cooking to ensure even browning. 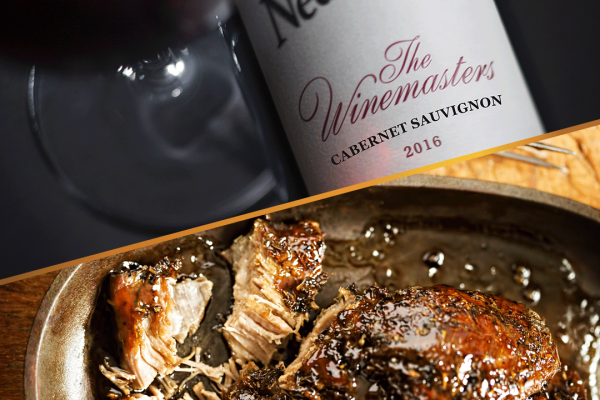 There is ultimately only one really incomparable match with roast lamb that has been seasoned with rosemary and/or thyme, and that is Cabernet Sauvignon or blends with Cabernet Sauvignon and Merlot. 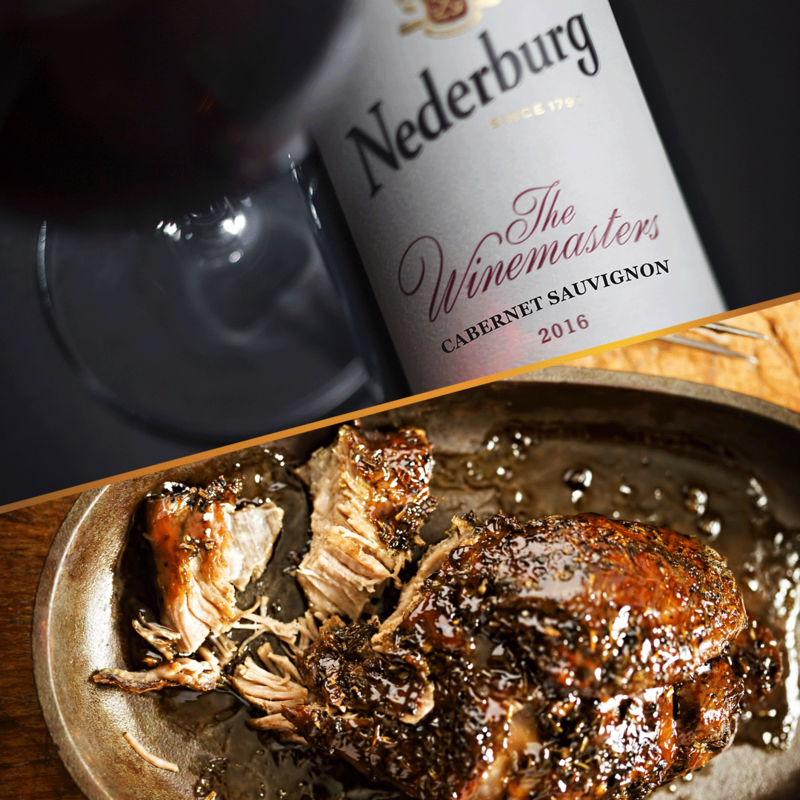 The Cabernet Sauvignon from the Nederburg Winemasters range has the perfect weight for this dish.